Lucuma is a fruit from South America. It is native to the Andes Mountains of Chile, Peru, Bolivia, and Ecuador. Though this fruit is very popular and economically important too in the areas of its nativity, it has not spread outside South America. 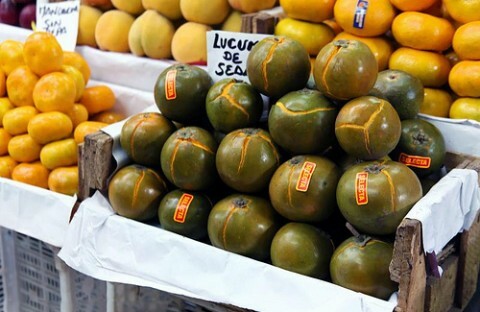 Though lucuma is a national fruit of Chile, yet it is not even known in other parts of the world. 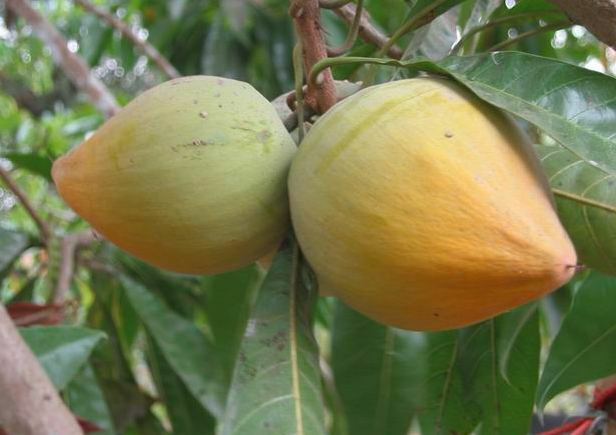 Lucuma is one of those fruits which have a potential of being developed into a new orchard crop. 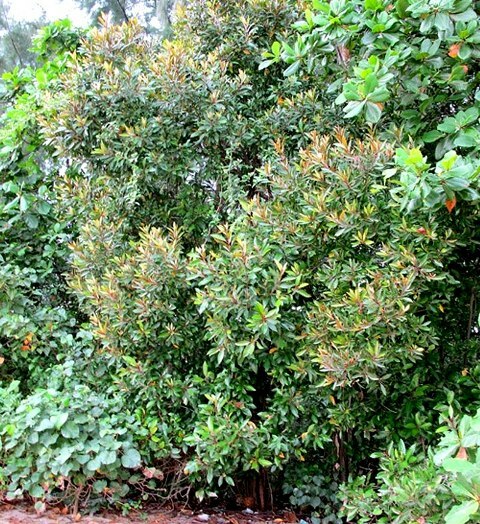 A small to medium evergreen tree 8-15 m tall and with a dense round crown, young branches covered with velvety hairs. Flowers, borne singly or 2 or 3 together in the leaf axils, are tubular, yellowish-green, with hairy sepals and 5- to 7-lobed mouth about 1/2 in (1.25 cm) across, aromatic, smelling somewhat like panadan. Fruit is oblate, ovate or elliptic, pointed or depressed at the apex, 7.5-10 cm long, with thin, delicate skin, brownish-green more or less overlaid with russet; pulp bright-yellow, firm, dry, mealy, very sweet, permeated with latex until almost overripe. The fruits are eaten raw. They are sweet and creamy. But there are so many types of fruits and some have a drier pulp too. dry. Lucuma pulp is popularly used for making drinks, puddings, pies, cookies, and cakes. It tastes and smells like maple syrup. Added to milk or ice cream, it contributes both color and flavor. It is a frequent component of milk shakes, typically made with lucuma but without ice cream. These are also made into preserve and syrup. These are now also used in making ice-cream. 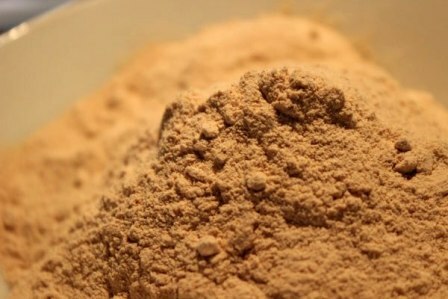 Lucuma pulp is also sometimes available as a dehydrated powder in stores for use in various preparations. Different people hold different opinions about taste and fruit quality. So some sort of consumer awareness programme is required for market promotion of this fruit. Lucuma wood is pale, compact and durable. The Peruvian people use it for construction. This species is not tropical, but grows at temperate elevations–between 9,000 and 10,000 ft (2,700-3,000 m) in Peru. It has been noticed to bear low temperatures upto -3 C. Lucuma is also adapted to fairly dry locations. 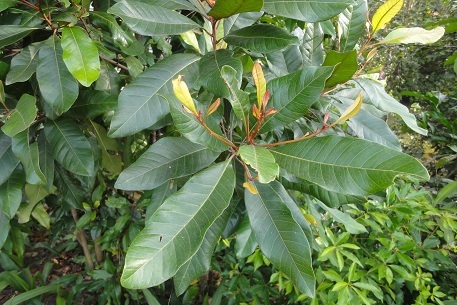 This is a fairly hardy tree and thrives even in not so rich soils. Though there is a lot of variation among seedlings, but in Peru trees have been observed to bear upto 500 fruits weighing upto 1 kg each. Superior varieties have also been selected from natural seedlings for planting in commercial orchards. Some of such cultivars are Seda and Palo. More selections have been made at the Universidad de Chile and at La Molina University.